This spacious event venue located in Sunnyvale is perfect for Corporate Off-sites, Private Events and Launches. 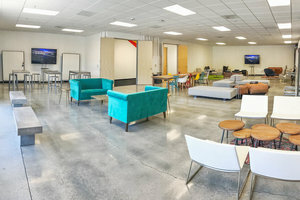 The space has an open plan with seating for up to 75 with the option for additional seating and standing room. 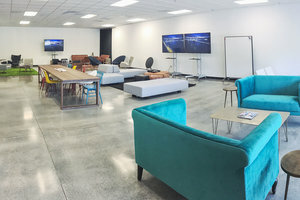 There are four large monitors on wheels equipped with Apple TV and HDMI, rolling whiteboards, three high tables, a long gathering table and a myriad of individual but complementary breakout spaces. 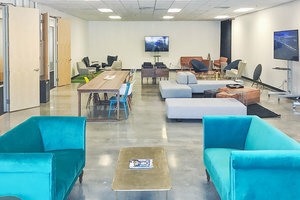 This space is ideal for organizations looking for a well-equipped space to host professional events and product launch functions.